Washington (CNN) In a political world seemingly incapable of being shocked, the resignation of United Nations Ambassador Nikki Haley on Tuesday did just that. The answer to the second question is now the big story. And, in truth, we just don’t totally know yet why Haley, who seemed to be one of the few Trump administration officials able to stay in the good graces of Trump, the international community and establishment Republicans all at once, would decide to simply (and suddenly) call it quits. And that might be true! But, the fact that neither Bolton nor Pompeo had any inkling that Haley was preparing to resign casts some doubt on the this-was-all-part-of-the-plan explanation. And, losing an Indian-American woman four weeks before an election and on the heels of a very contentious Supreme Court fight that divided deeply along gender lines suggests is far less than ideal timing for Trump. With Bolton and Pompeo as the new shiny objects in the Trump Cabinet, Haley may have seen the writing on the wall — and decided to leave on her own terms (before she is pushed). Haley has spent a long time in elected (or appointed office). Prior to being elected governor in 2010, she spent six years as a member of the state House. Those are not hugely lucrative jobs. In 2015, the year before she was tapped to serve in the Trump administration, she and her husband reported an annual income of just over $170,000. In 2014, that number was closer to $190,000. And in 2013, Haley and her husband, Michael, reported making $270,000. According to Haley’s 2018 financial disclosure, she reported a significant number of outstanding debts, including somewhere between $25,000 and $65,000 in credit cards, a mortgage in excess of $1 million and a line of credit between $250,000 and $500,000. With one child in college and another headed there in the next few years, Haley could well have been lured by the seven-figure salaries available to someone with a resume like hers in the private sector. There’s very little doubt that Haley has her eye on the White House at some point in the future. (Doubt me? Haley brought her most trusted political adviser — and pollster — Jon Lerner to the UN with her.) Knowing that her resignation would set off talk of a potential primary challenge to Trump in 2020, Haley laughed off the possibility during her comments on Tuesday — making clear she plans to campaign for Trump in two years time. In truth, Haley is too smart to run against Trump in 2020. While Trump’s approval ratings are in bad shape with the broad electorate, he is among the most popular Republican presidents ever among Republican voters. No one is beating Trump in a primary in 2020 — not Haley, not anyone. BUT, just because Haley isn’t running in 2020 doesn’t mean she isn’t running. Remember that whether Trump wins or loses in 2020, the 2024 Republican nomination will be open. Yes, Vice President Mike Pence is a likely candidate — particularly if Trump wins a second term in 2020. And he will be the Trump candidate. But what if there is a desire for a candidate who has OK relations with Trump world but also is not seen as totally and completely aligned with a former president who was, to put it mildly, a non-traditional Republican candidate and president? Enter Haley! She will have spent almost two years serving Trump, yes, but, by the time 2024 comes around, she will be six years removed from the Trump White House. Which might be a very appealing thing for Republicans. United Nations Ambassador Nikki Haley is stepping down, according to a report on Tuesday. President Trump has accepted Haley’s resignation, but the timing of her departure is unclear, Axios reported. 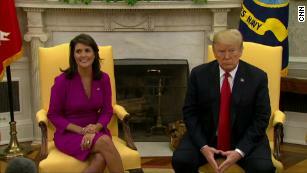 The White House released a statement saying Haley would meet with Trump in the Oval Office at 10:30 a.m.
Haley, the former Republican governor of South Carolina, discussed her resignation with Trump during a White House visit last week, the website said. Trust Trump, look like a fool. Just ask Nikki Haley. When I followed the Clinton, George W. Bush and Obama administrations, it was often possible to predict presidential actions based on patterns: Clinton’s split-the-difference style, Bush’s verbal signaling, Obama’s caution. But here’s a handy rule of thumb for this administration: Those who claim to know what Trump is going to do are making it up. Nobody truly knows, because Trump himself often doesn’t know what he’s going to do before the moment he does it. Decisions are impulsive, the product not of reason but of the brain’s cortisol levels. Past performance is no guarantee of future results. We are imposing new sanctions on Russia. We are not imposing new sanctions on Russia. China isn’t manipulating its currency. China is manipulating its currency. We’re getting out of Syria. We aren’t getting out of Syria. We’ll decide about bombing Syria in 24 to 48 hours. We might not bomb Syria for a long time. We bombed Syria. The bombing of Syria will be sustained. The Syria bombing was a one-time shot. Trump will be talking to Kim Jong Un. Trump may not be talking to Kim. Trump fired James B. Comey because of the Russia investigation. Trump did not fire Comey because of the Russia investigation. We are leaving the Trans-Pacific Partnership. We may rejoin the TPP. We are not rejoining the TPP. Poor Haley had no reason to think the president would change his mind. Yet Trump made the U.S. ambassador to the United Nations look like a fool. But she was confused: She believed assurances that Trump would do as expected. Last Friday, Trump’s Treasury Department put out a report saying, “The Chinese currency generally moved against the dollar in a direction that should, all else equal, help reduce China’s trade surplus with the United States.” This is true: The dollar has fallen nearly 10 percent against the yuan since Trump took office. But on Monday, Trump took the opposite position. “Russia and China are playing the Currency Devaluation game as the U.S. keeps raising interest rates. Not acceptable!” he tweeted. Last month, Trump announced, “We’ll be coming out of Syria, like, very soon.” Now the White House was back to saying there was no timetable for an American withdrawal. The president has similarly reversed or contradicted himself this week on quitting the TPP trade pact and his justification for firing Comey. On North Korea, he said he would meet with Kim and raised the possibility he wouldn’t — in the same passage. They think they know Trump’s mind, huh? So did Nikki Haley. Dana Milbank writes about political theater in the nation’s capital. He joined the Post as a political reporter in 2000. Erekat was reacting to a speech given by Haley to the UN on January 25. “President Abbas declared the landmark Oslo Peace Accords dead. He rejected any American role in peace talks. He insulted the American President. He called for suspending recognition of Israel. He invoked an ugly and fictional past, reaching back to the 17th century to paint Israel as a colonialist project engineered by European powers,” Haley said. “US and Israeli officials are saying that any Palestinian leader who insists on East Jerusalem becoming the capital of Palestine and is committed to the right of return, in accordance with United Nations resolution 194, should be removed from power and replaced,” he said. 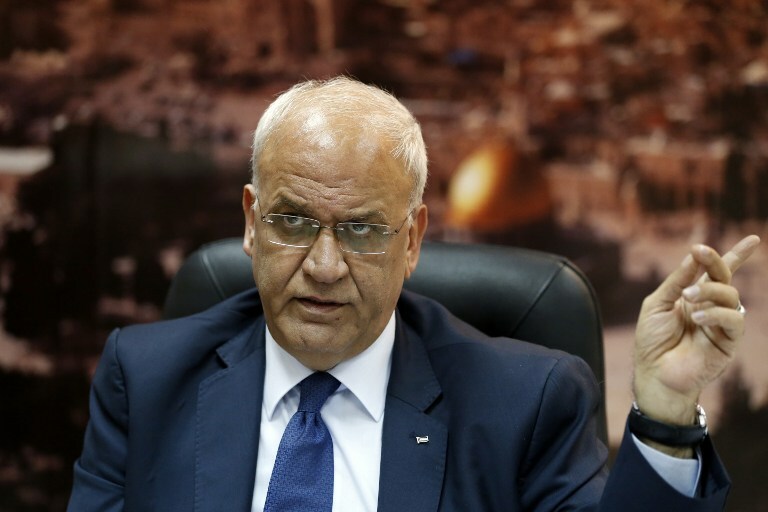 The US and Israel are searching for Palestinian leaders who will accept the “liquidation of the Palestinian national project,” Erekat said. 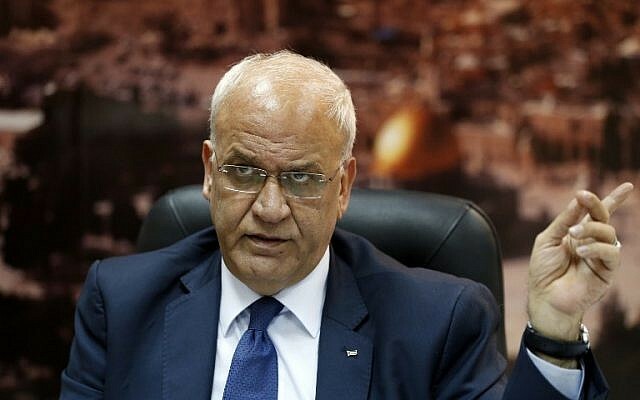 “The Palestinian leadership has told the Americans and Israelis that, even after 1,000 years, they will not find any Palestinian who will collaborate with their scheme,” Erekat said. The Palestinians, Erekat stressed, are determined to pursue diplomatic efforts at the UN Security Council and other international forums in response to the policies of the Trump administration. “We will take Trump’s decision [to recognize Jerusalem as the capital of Israel] to the International Court of Justice and we will seek membership in more international agencies,” he said. In the wake of the recognition, formally declared by President Donald Trump on December 6, the Palestinians have said the US cannot be an honest broker in the peace talks and have refused to meet with US officials, including Vice President Mike Pence, who visited the region last month. Nevertheless, Erekat insisted that the Palestinians were not looking for a fight with the US. (CNN) The Russians are coming! Except they aren’t. Though they already have a bit. And they might well be coming a bit more soon. This is how very bad things happen. 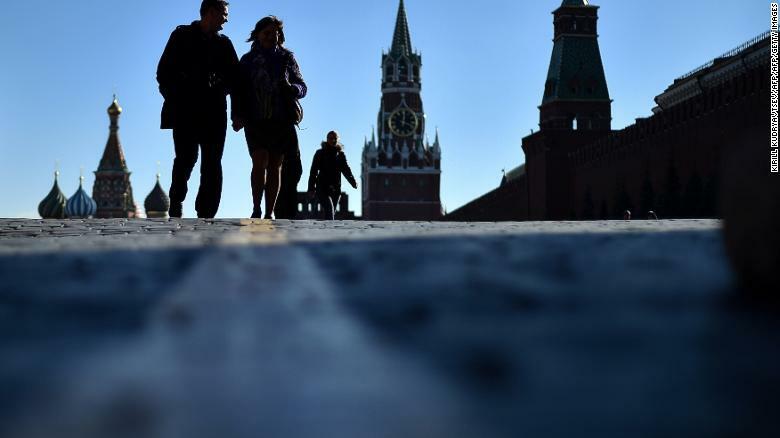 The threat posed by Russia to Western interests is unlike anything seen since the 1990s. It has forces or proxies deployed in Syria, Ukraine and, don’t forget, parts of what’s still called Georgia. There is smoke, but there is also fire and daily there is a lot of fuel being added. Dutch state media revealed this week that Dutch cyber spies — the Joint Sigint Cyber Unit (JSCU) — were able to hack into the closed-circuit television of the building where a Russian hacking organization known as Cozy Bear worked, and observe them coming and going from offices where they hacked the Democratic National Committee in the US. The Dutch told the Americans, touching off the US investigations. According to the Dutch, the Americans then helpfully told the media they were tipped off by a Western intelligence agency, prompting the Russians to turn off the Cozy Bear CCTV hack. 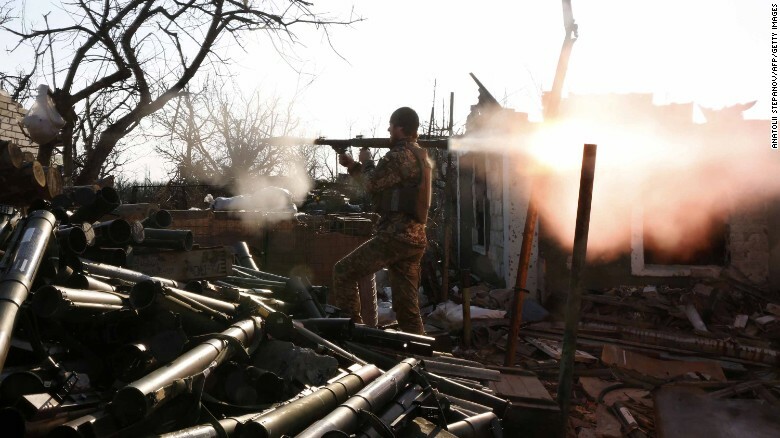 A Ukrainian serviceman shoots with a grenade launcher during fighting with pro-Russian separatists in Donetsk, Ukraine. There was also a shrill warning from new UK Defense Secretary Gavin Williamson, who, amid a budget row and internal leadership posturing, chose Friday to unleash a barrage of concerns about “thousands and thousands and thousands” — yes, that many — deaths that Russia could cause in Britain, if it successfully hacked the electricity grid. Williamson told the Daily Telegraph: “Why would they [the Russians] keep photographing and looking at power stations, why are they looking at the interconnectors that bring so much electricity and so much energy into our country? They are looking at these things because they are saying, ‘These are the ways we can hurt Britain. '” His officials have also alleged Russia may target the transatlantic cables that ferry the internet to the UK. “We never saw this during the Cold War. 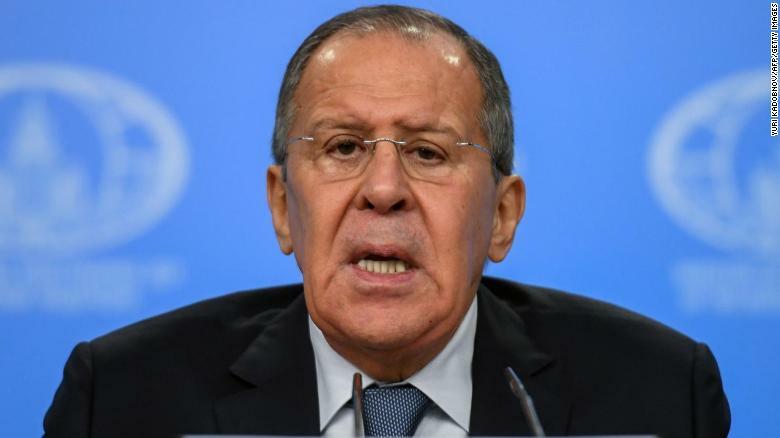 Back then, there were some rules, some decorum… Now, all decorum has been cast aside,” Lavrov told Russian daily Kommersant in an interview published on January 21. Russian Foreign Minister Sergei Lavrov gives his annual press conference in Moscow on January 15, 2018. Some Russian state rhetoric is designed to paint a picture of an outside world that hysterically harnesses fear of a resurgent Russia, when really the country means no harm. It is designed to try and distance Russians from an outside world they can increasingly see, even if only through the slanted prism of Russian state media. The xenophobia, homophobia and sometimes outright racism that has grown in Russian society also stem from the idea of a people — a narod — under threat. Russophobia, that argument goes, happens because “they want us gone, but also because they fear us, as we refuse to lie down.” I saw it in the eyes and anger of many ethnic Russians embattled in eastern Ukraine. They felt abandoned, scorned, left outside the rest of Ukraine, and had to turn to Russia to protect their Russianness. Some of Russia’s urban elite has seen too much of the outside world to buy this reductive message. But its nationalists and beholden state employees embrace it, and much of rural Russia hasn’t seen the glittering globe beyond. Life remains tough there, with even state figures accepting that just under 14% of Russians live below “the minimum cost of living,” according to Tass. Into this narrative of “them and us” come these increasingly vociferous Western claims of the Russian threat. In the partisan fury of US or UK politics, it is hard to know at times whether Russia did ingeniously undermine the entire US electoral process and infiltrate Team Trump, or just ended up having clumsy hackers steal some emails, and allow some of its sympathizers to get too close to some of Trump’s less savvy or wholesome staff. It is hard to know, with Russian-backed tanks still in Donetsk and jets in Syria, whether we are seeing an expansionist Moscow intent on soon probing the Baltic states or switching off the lights in London, or a nervous Russia that is just checking threats it sees in its near abroad. Red Square in Moscow. Russians see the West through the prism of state-run media. The most troubling point is that the distinction doesn’t really matter. This perception of Russophobia (or a real Russian threat) is either what the Kremlin wants, to justify its more aggressive schemes, or it is what the Kremlin feels it has to respond to, as to not appear weak. Vladimir Putin has long surrounded himself not with tech-age visionaries, but with men who stem from the same age as him, a period he called the “greatest geopolitical catastrophe of the 20th century” — the fall of the Soviet empire. He still feels it personally, wishes to see the shift in power partially redressed and must surely be bemused at how the US public has elected a president so capable of diminishing US influence the world over. The Kremlin takes things personally. It may seem disproportionate to the slight, but not when compared with the extraordinary suffering of the Soviet era and the brutal collapse of the 1990s. But by recognizing Russia as the threat it increasingly shows itself to be, Western figures are also ensuring Moscow has little choice but to fulfill the prophecy. How much aid does the US give Palestinians, and what’s it for? The United States is by far the largest donor of financial aid to the Palestinians, with this assistance touching nearly every aspect of life in the Palestinian Authority. But US President Donald Trump threatened on Tuesday to end this aid to the Palestinians, angered by Ramallah’s refusal to cooperate with the US’s efforts to jump-start Israeli-Palestinian peace talks after he declared Jerusalem the capital of Israel in December. The Palestinians want East Jerusalem to be the capital of their future state. Trump tweeted on Tuesday that Washington was paying the PA hundreds of millions of dollars a year “for nothing,” and complained that the US received “no appreciation or respect” in return. Should the threats of the president and Haley come to fruition, what kind of impact could this have on the Palestinians? According to the US Consulate in Jerusalem’s website, the United States has been the largest donor of aid to the Palestinians since the signing of the Oslo Accords in 1994. This aid has totaled around $600 million annually in recent years, and can be roughly divided into three categories. The first is USAID, the conduit by which the State Department provides aid to countries across the world. The second is the economic support for law and order in the Palestinian Authority. These two categories were perhaps the aid that Trump had in mind in his tweet, though the president did not specify. 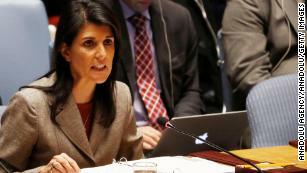 The third is the US support for the United Nations Relief and Works Agency, or UNRWA, as addressed by Haley. 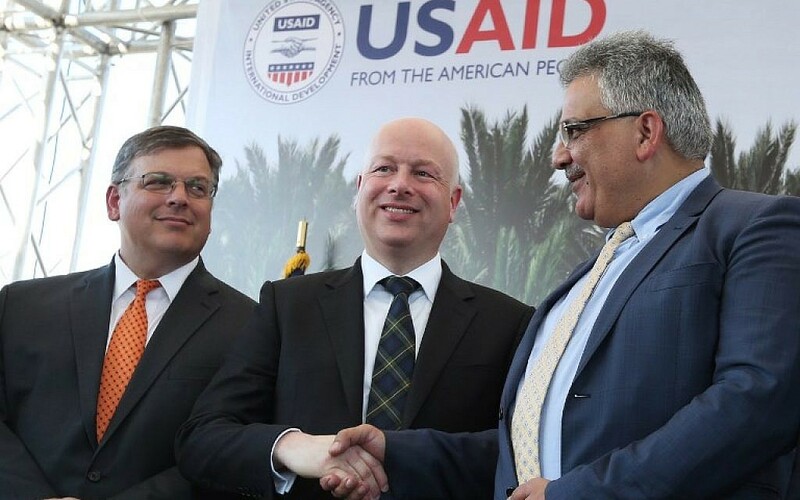 Since 1994, Washington has provided the Palestinians with more than $5.2 billion through USAID. This money is used for developing and sustaining the Palestinian Authority, including support for debt relief (such as helping to pay the medical debts of Palestinians in Israeli or other foreign hospitals), sanitation, economic development in the public and private sectors, infrastructure development, education, governance, health and essential humanitarian assistance to the Gaza Strip. 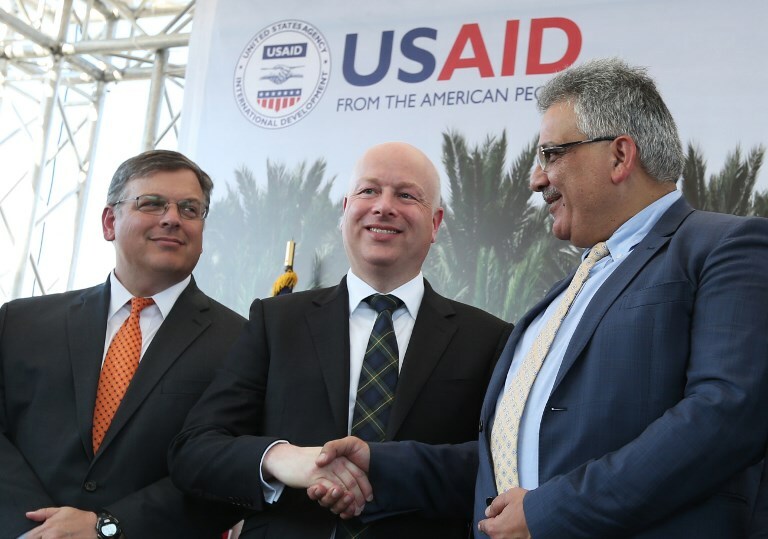 The USAID money is also a lifeline for dozens of NGOs that work in the Palestinian territories on the grassroots level to support conflict mitigation and instill values of non-violence and peace-seeking. Separate from this USAID money, which in 2016 equaled $290 million, the US also gives a large sum every year to support law and order. This support, for which almost $55 million was budgeted in 2016, includes training and supplying equipment to the PA security forces and the police force, firefighter training, rehabilitating courtrooms and training judges as well as lawyers. Israel sometimes works together with Palestinian security forces in order to foil terror plots against Israeli or Palestinian citizens. Long before Trump thought about cutting aid to the Palestinians over their refusal to work with his administration in the peace process, Congress was already working to freeze assistance to the Palestinians until the PA discontinues its practice of paying monthly stipends to the families of terrorists who kill Israelis. 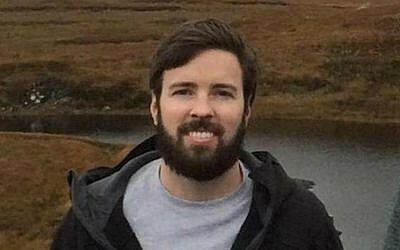 This legislation, known as the Taylor Force Act, after a former US army officer who was stabbed to death by a Palestinian assailant while visiting Tel Aviv in March 2016, was passed in early December by the US House of Representatives after the legislation went through a number of rounds of revision. The legislation now needs to be passed by the Senate. In its 2017 budget, Ramallah allocated nearly $345 million for the contentious stipends. In total, it expected $693 million in foreign assistance for the 2017 fiscal year. 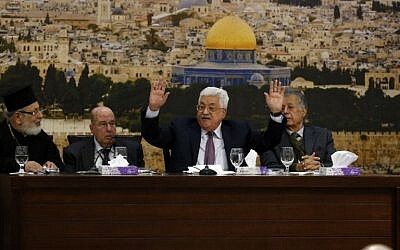 While US aid, which is largely not transferred into the coffers of the PA directly but rather paid out to third parties, cannot be used for paying the families of terrorists, many argue the assistance simply frees up other funds in the Palestinian leadership’s budget to pay the stipends. US assistance to UNRWA in recent years has been far greater than that contributed by any other country, and surpasses the hundreds of millions given to the Palestinians through USAID. UNRWA often operates in the poorest Palestinian neighborhoods and refugee camps, providing education to hundreds of thousands of students. The organization also provides essential humanitarian services, including running health clinics and women’s centers. In 2016, the US pledged $355 million toward UNRWA’s operations. The second highest donor was the EU, pledging $160 million. 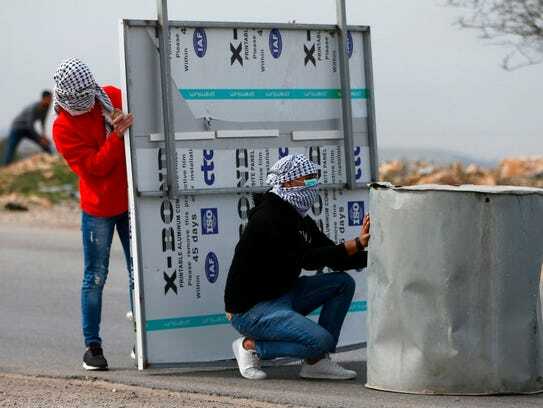 A large bulk of UNWRA’s work takes place in Palestinian refugee camps outside of the Palestinian territories, including in Jordan, Lebanon and Syria. US donations to UNRWA have been declining in recent years. In 2015, the US gave $380.5 million to UNRWA and in 2014 gave $408 million to the UN refugee organization. According to UNRWA, the agency educates half a million children in over 700 schools across the Middle East (270,00 of them in Gaza). The agency’s doctors see 11 million patients in nearly 150 primary health clinics annually. UNRWA also conducts vocational training, preparing 9,000 young people for job markets every year, according to the agency. UNRWA, according to the agency, also assists more than 40,000 refugees with disabilities and runs recreational centers for 200,000 refugee youth and children. The agency employs over 30,000 teaching staff, doctors, nurses, social workers, sanitation laborers and engineers. “UNRWA’s contribution to human development — notably through education and healthcare services — is described as indispensable to the dignity of Palestinian refugees and the stability of the region,” he added. Peter Lerner, a recently retired spokesperson for the Israel Defense Forces, argued that cutting funding to UNRWA would only hurt the weakest in Palestinian society, leading to more terror and extremism. “There are many problems with UNRWA, but cutting financial support to the organization hurts the weakest members of Palestinian society and is unlikely to bring the Palestinian Authority to the table,” Lerner wrote on his Twitter account. “The refugee camps have historically been hotbeds for terrorist activities, weakening this population will only lead to more extremism and violence. This will not contribute to security or stability in the region,” he concluded. 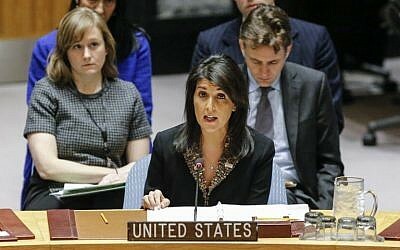 Haley mentioned the possibility of cutting funding to UNRWA in an impromptu response Tuesday to a question from a Canadian journalist, who asked whether the US would retain its current level of funding for the UN agency in light of a non-binding UN General Assembly resolution last month condemning the US recognition of Jerusalem as Israel’s capital. “[Trump] doesn’t want to give any additional funding until the Palestinians agree to come back to the negotiation table, and what we saw with the resolution was not helpful to the situation,” Haley said. Haley seemed to be arguing that cutting UNRWA funding was aimed at dissuading the UN from foiling the US’s strategy for an Israeli-Palestinian peace plan. 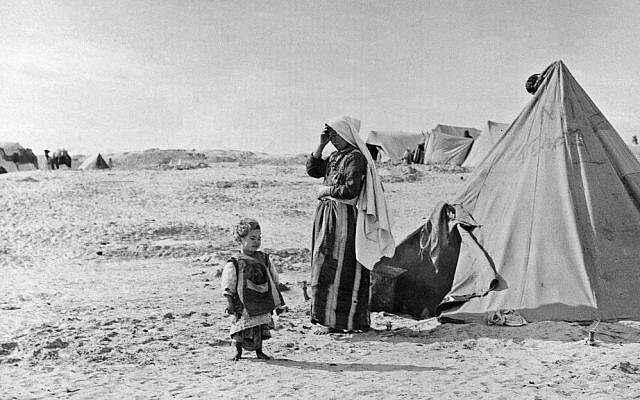 UNRWA was created in 1949 in the wake of Israel’s War of Independence. Netanyahu, in statements last year to his cabinet, accused the organization of inciting against Israel while doing nothing to help the plight of Palestinian refugees. He asked why they needed a specific body, when the UN High Commission for Refugees has helped tens of millions of displaced persons since World War II. “The time has come to dismantle UNRWA and have its parts be integrated into the UN High Commission for Refugees,” he said. UNRWA has long been the target of heavy criticism for alleged anti-Israel rhetoric promoted at its schools and for turning a blind eye to terrorist activities taken place at its premises, including the storing of rockets and hosting of tunnels belonging to the Hamas terror group. 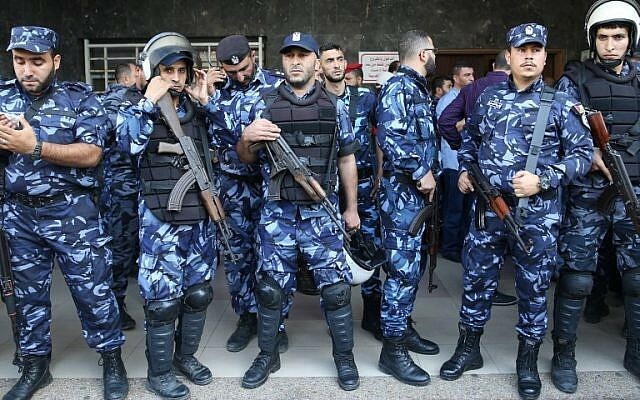 UNRWA has condemned the use of its premises by Hamas for military purposes. Additionally, Israel has long claimed that some of UNRWA’s Palestinian employees support terrorist activities and use hate-speech online. An official told The Times of Israel on Tuesday that the White House was indeed reconsidering the effectiveness of the UN agency. 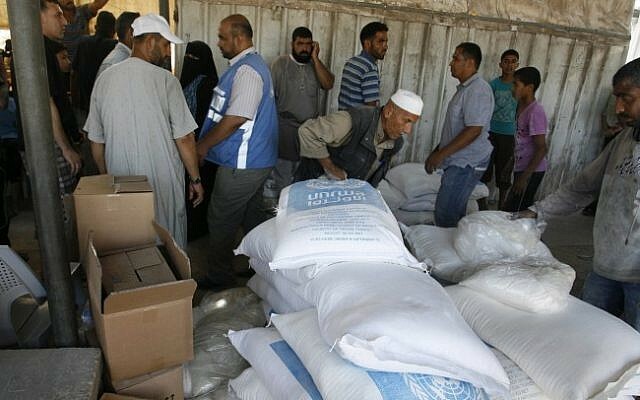 “We continue to review the impact and effectiveness of UNRWA’s aid programs. This is prudent, and indeed, it is our duty to the American taxpayer,” the official said. However, the official also praised UNRWA. The US has “long supported UNRWA for its important and life-saving humanitarian work, and recognizes its role as a stabilizing force and a counterweight to violent extremism, which is essential for stability in the Middle East region,” the official said. The United Nations General Assembly moved Thursday to repudiate President Trump’s controversial declaration recognizing Jerusalem as the capital of Israel. Trump threatened to withhold aid to countries that vote for the resolution. The measure, drafted by U.S. ally Egypt, urges nations to support U.N. resolutions dating to 1967 when Israel captured East Jerusalem from Jordan, that call for Jerusalem’s status to be decided through negotiations between Israelis and Palestinians. Israel says a united Jerusalem will remain its capital, while Palestinians want it to cede East Jerusalem as the capital of a future, independent Palestinian state. Only a handful of countries recognize Jerusalem as the Israeli capital, while most others maintain embassies in Tel Aviv. Trump warned Wednesday that the vote could impact “billions of dollars” in U.S. aid. Americans are “tired of being taken advantage of” at the U.N. “and we’re not going to be taken advantage of any longer,” Trump said. Turkey’s President Recep Tayyip Erdogan criticized Trump for threatening to cut off U.S. funding to countries that oppose his decision. “Mr Trump, you cannot buy Turkey’s democratic will with your dollars. Our decision is clear,” Erdogan said at a cultural awards ceremony in Ankara on Thursday. Haley also threatened Tuesday to “take names” of countries that vote in favor of the measure. Trump’s Dec. 6 announcement also said the State Department had been ordered to begin the years-long process of moving the U.S. Embassy to Jerusalem from Tel Aviv. Trump said the decision, following a law passed by Congress in 1998, does not impact the borders of Jerusalem, but reflected the reality that Israel considers the city its capital. His announcement was widely condemned in capitals around the world, and provoked deadly protests in the Middle East. Thursday’s vote at an emergency meeting of the General Assembly comes after the U.S. vetoed the same measure in the Security Council on Monday. The remaining 14 Security Council members voted in favor of the resolution, including key U.S. allies such as Italy, Japan, Britain, France and Ukraine. While the five permanent members of the Security Council — the United States, France, Britain, Russia and China — had veto power in the first vote, there are no vetoes at the General Assembly. The General Assembly vote expresses widespread disapproval, however, it has little or not practical impact. United Nations Secretary General Antonio Guterres said Monday that calling for Israel’s destruction is a “form of modern anti-Semitism” and said he would treat Israel with “impartiality” amid vocal complaints by Israeli officials that the world body is biased against the Jewish state. “I do believe that in particular when you mention those who call for the destruction of the State of Israel that that is a form of modern anti-Semitism,” Guterres told President Reuven Rivlin at the President’s Residence in Jerusalem. “But you also understand that I sometimes disagree with positions of the Government of Israel or any other government, and that is absolutely normal in a society where many of your citizens have exactly the same expressions of opinions,” he added. 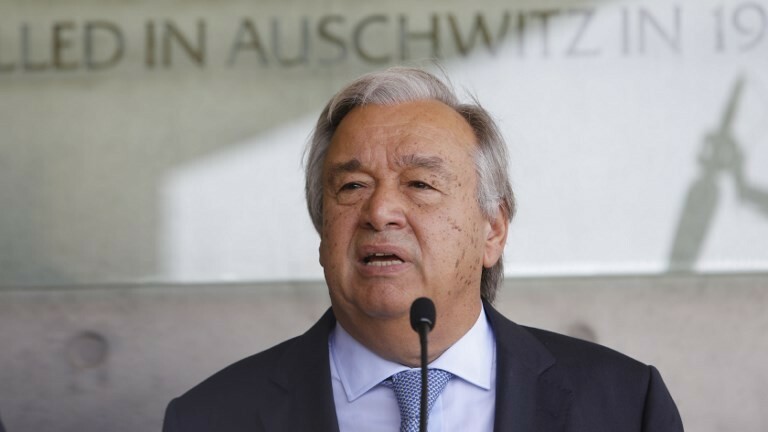 Guterres, who was greeted upon his arrival Sunday with complaints from Israeli officials of the UN’s “anti-Israel bias,” said under his leadership the international body will treat Israel with “impartiality,” as he said it does with every country. “I want to express to you, Mr. President, that you can be fully confident that in my role as Secretary General, and in relation to the functions of the secretariat that I am supposed to meet, I am very keen in stressing the values of the Charter, and the very important value of the Charter, impartiality,” he told Rivlin. 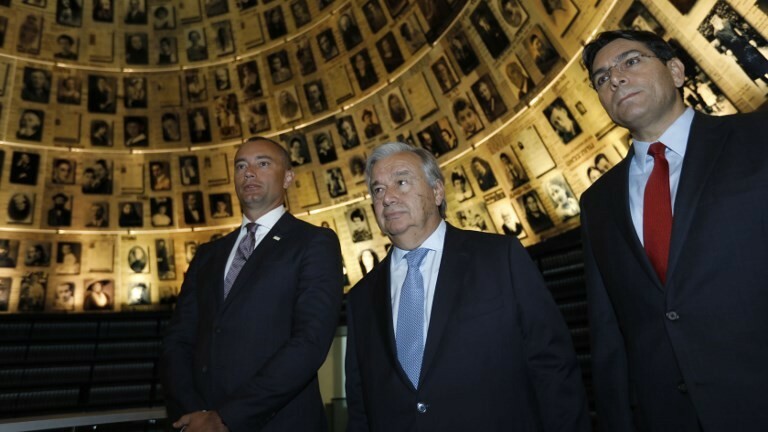 The secretary general also mentioned his trip to the Yad Vashem Memorial Holocaust museum earlier Monday and mentioned his home country Portugal’s own history of anti-Semitism in the 16th century. 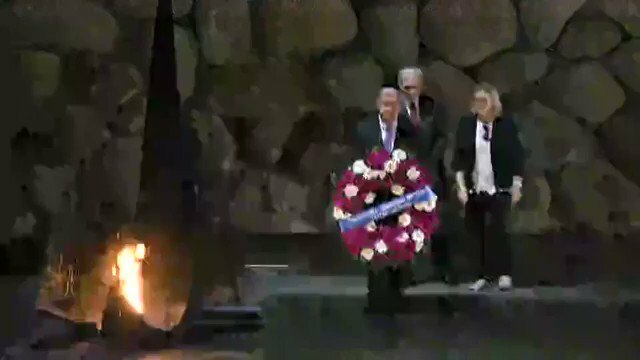 “Yad Vashem is there to remind us that we need to be in the first line in fighting against antisemitism, but first of all fighting against all other forms of bigotry, be it racism, xenophobia, even anti-Muslim hatred, to promote understanding and to promote dialogue,” he said. “I was shocked a few [days] ago to listen to the chant of a group of neo Nazis in developed country in the world chanting ‘blood and soil’ – [a] slogan of the Nazis. That is a dramatic demonstration that it is our duty to do everything possible and as Secretary General of the United Nations I fully assume that commitment to do everything possible to fight anti-Semitism in all its expressions,” he said. 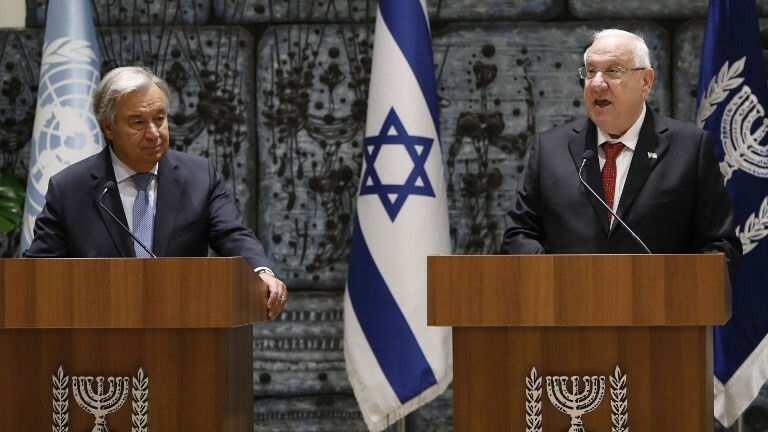 In his remarks, Rivlin called on Guterres “to work to end the discrimination against Israel” at the UN, while also thanking him for “brave leadership” on the issue. “This targeting of Israel, this singling out of the world’s only Jewish state, and even actions and statements that threaten to destroy Israel are unacceptable, and should come at a price. No member state in the UN should be allowed to behave like that,” the president said. Guterres arrived in Israel Sunday evening for a three-day visit that will include meetings with senior Israeli officials in Jerusalem and Palestinian officials in the West Bank, as well as a stop in the Gaza Strip, where the UN runs a major Palestinian aid program. Guterres is set to meet with Prime Minister Benjamin Netanyahu later Monday. 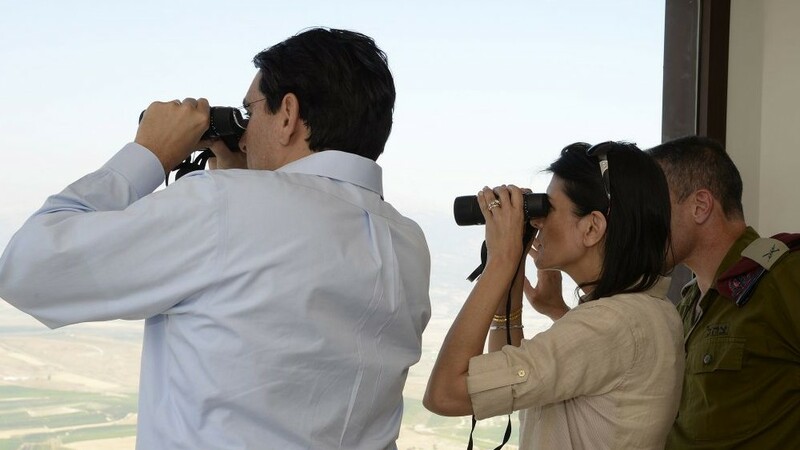 On Sunday, Deputy Foreign Minister Tzipi Hotovely announced that Israel will discuss two key issues with the UN head during the visit: ending “anti-Israel bias” at the 193-nation organization, and changing the mandate of its peacekeeping mission in Lebanon, known as UNIFIL. “We are seeking a dramatic change in the way the UN treats Israel. It’s time to place the issue squarely on the table and address it head-on,” Hotovely said, threatening funding cuts for the body if changes were not implemented. The trip came as the UN Security Council is debating renewing the mandate of UNIFIL’s peacekeepers for another year, with a vote expected on August 30. The US ambassador to the United Nations, Nikki Haley, has blasted the commander of UNIFIL, Irish Maj. Gen. Michael Beary, accusing him of turning a blind eye to Hezbollah weapons smuggling. Pointing to Haley’s comments, Hotovely said that “if the UN does not drastically change its behavior it will lose both support and funding” from Israel and other countries. Raoul Wootliff and agencies contributed to this report.